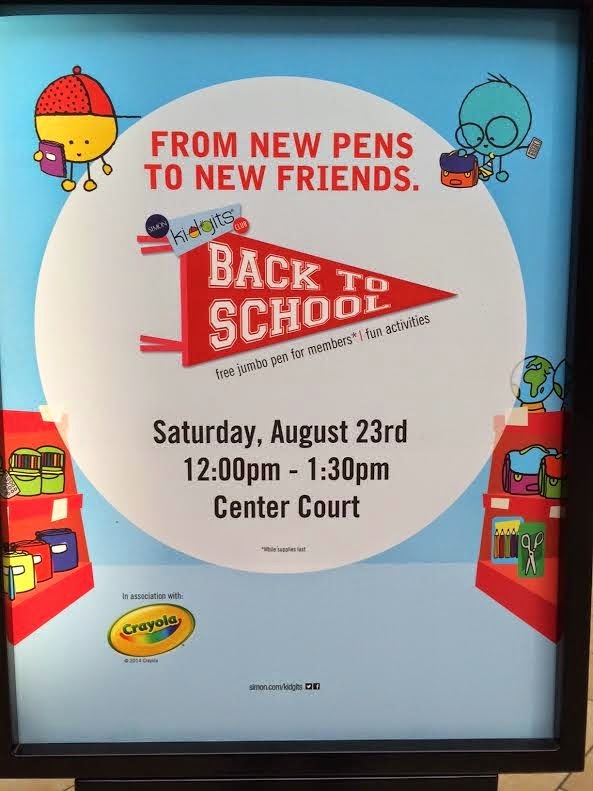 The Shops at Montebello welcomes families to the Kidgits annual Back-to-School event on Saturday, August 23, from Noon-1:30pm. Kids will have the opportunity to participate in craft activities, games, and enjoy entertainment from Radio Disney. Simon Kidgits Club members will receive a free Crayola jumbo pen while supplies last. Parents will have the chance to win prizes and tackle back-to-school shopping lists with exclusive retail coupons. Purchase a $100 Shops at Montebello Visa Gift card and receive a $20 gift card from select retailers including American Eagle, Charlotte Russe, Gap, Gymboree, Pacsun, Sephora, & Vans, perfect for back-to-school shopping.